C-HCGU system, Branch region. On the 14th of April at 17:49 EVE Standard Time, a capital battle unfolded in the system over a Triumvirate. [TRI] tower. The tower in question had been anchored by the alliance to serve as a forward operations base for its forces as it continues its feud with Guardians of the Galaxy (GotG) coalition. The structure was in the process of becoming operational when a GotG combat carrier warped to the grid and deployed fighter squadrons in order to destroy it. Triumvirate. forces quickly organized a squadron of black ops battleships and jumped them into the system on top of said combat carrier. GotG forces reacted, lighting a cynosural beacon a 100 kilometers from the carrier itself and bringing in two squadrons of mixed battleships. Realizing the danger, the majority of the black ops battleships quickly retreated, with only one teleporting into the battleship formation by mistake which was subsequently destroyed. Triumvirate. forces were not ready to back down and quickly formed a Tengu strategic cruiser fleet which hurried to the system. At the same time the alliance started organized several dreadnoughts in case of an escalation. The smallish fleet burned back to the system to continue fighting only to find GotG had reinforced the combat carrier with an additional four combat carrier squadrons. Regardless the Tengu fleet warped in to engage while calling on allies. Pandemic Legion [-10.0] answered the call and quickly formed a 70 pilot Proteus strategic cruiser fleet. The force made way to the system utilizing wormholes. Triumvirate. forces landed near the combat carriers who swiftly responded to the intruders. The combat carriers had deployed their compliments of fighters to destroy the tower but turned them instead on the strategic cruisers. The cloud of fighters descended on the strategic cruisers, swarming their hulls and destroying several ships in the process. Triumvirate. had no time to waste and had a cynosural beacon lit up on the GotG force while rousing pilots to join the fleet with more dreadnoughts. Two Minokawa force auxiliaries were also procured to aid in the strategic cruisers’ survival. The Triumvirate. dreadnought force, two squadrons strong, jumped through and landed on top of the GotG capital ships. The dreadnoughts entered their siege cycles and opened fire on the combat carriers at point blank range. In rapid succession, combat carriers and force auxiliaries were felled by the dreadnoughts. The Triumvirate. force tore through the hostile capital ships but the fight was far from one sided. GotG brought in a couple of dreadnought squadrons of its own into the fight. The dreadnoughts entered their respective siege cycles and opened fire on their hostile counterparts. Out of Sight. [OOS] also came in to aid GotG. The alliance had been notified of the battle as it progressed and managed to muster a squadron of dreadnoughts as well as interdictors to aid GotG. The Out of Sight. dreadnoughts entered the fray, choosing to jump in at range of the unfolding melee. The Out of Sight. dreadnoughts positioned themselves nearly 100 kilometers from the maelstrom, using long range guns as they coordinated their barrages. Triumvirate.’s Tengu fleet continued to aid its capital ships in their struggle. With the Minokawas’ assistance and the dreadnoughts presenting a more pressing target, it was able to remain in the thick of the fighting and contribute. It was soon joined by the Pandemic Legion strategic cruisers which warped in and added their firepower to the mix. The battle quickly turned into a gruesome exchange as the two sides traded capital ships. Two thirds of the GotG combat carrier force had been destroyed by that point but the dreadnought exchange was far from over. With their dreadnought numbers, GotG and allies managed to destroy the vast majority of Triumvirate.’s capitals. Only three ships managed to escape the slaughter. With Triumvirate.’s dreadnoughts in ruin, GotG and allies attempted to extract their remaining capitals. A medium sized Machariel battleship fleet arrived in the system to fend off the Pandemic Legion and Triumvirate. fleets which continued to hold down some of the GotG capitals. Out of Sight. for its part managed to extract with relative ease, jumping its dreadnought force out without incident. Its interdictors however remained in the system, covering gates so as to slow down and halt hostile reinforcements. The GotG Machariels warped in to engage the hostile forces, the two sides exchanging blows at close range. Even without their dreadnought force, Triumvirate. supported by Pandemic Legion proved too much for the battleships to handle. Coming under heavy fire from the combined force of the strategic cruisers, battleship after battleship succumbed to the damage. GotG casualties piled up fast while the two alliances were steadfast, giving no ground. The GotG Machariel fleet had no choice but to retreat leaving the strategic cruisers in control of the field. During the exchange, GotG managed to extract its remaining capital force. With the field under their control, Triumvirate. and Pandemic Legion looted the field and started to withdraw their forces. The tower, forgotten in the fighting, had managed to online. This meant Triumvirate. managed to achieve its strategic goal. With the battle and objective won, Triumvirate. and Pandemic Legion left the system, bringing an end to the fighting. Battle report for the C-HCGU system can be found here. All told the battle on its various stages lasted for 62 minutes with Time Dilation not reported by combatants as being a major issue. The system itself is estimated to have held 300 pilots at the peak of the fighting though this number has not been verified. Triumvirate. and Pandemic Legion lost a combined 48 ships including 21 dreadnoughts, 2 force auxiliaries and 3 strategic cruisers for a total of 84.89 billion ISK damage. GotG and Out of Sight. 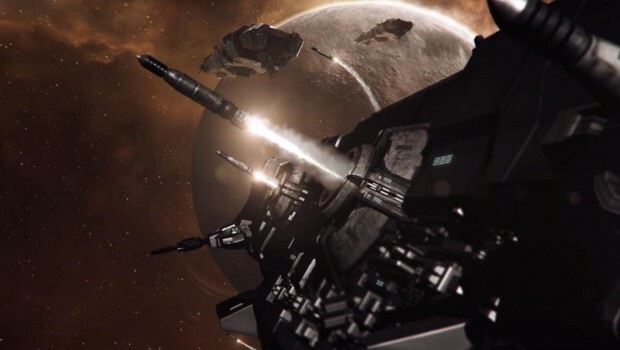 lost a combined 88 ships including 2 dreadnoughts, 5 force auxiliaries, 24 combat carriers and 26 battleships for a total of 96.15 billion ISK damage. I am about to begin a blog site. Together with lots of various other hopeful’s, I want to ultimately make money off it. I saw a great deal of websites do not permit you to make money of google ad sense as well as points like that. What are some websites I can start my blog on that particular will allow this since it appears to be one of the most successful means to earn money off a blog site?. Thanks, I have just been searching for info about this topic for a long time and yours is the best I’ve found out till now. But, what concerning the conclusion? Are you certain concerning the supply? Hey there. I discovered your site by the use of Google at the same time as searching for a comparable subject, your web site came up. It looks good. I’ve bookmarked it in my google bookmarks to visit then. Perfectly written content, Really enjoyed looking through. Leave a Reply to InventHelp Patent Services Click here to cancel reply.